Writing in the Corriere della Sera in 1997, Luigi Veronelli, Italy’s most important food and wine writer, praised our Matraja brand as “the best olive oil of Italy”. 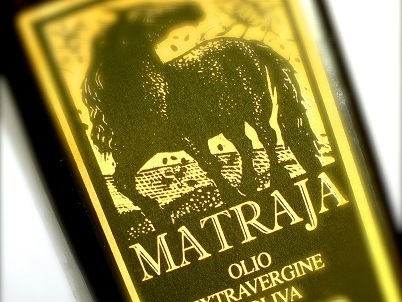 Winner of the national Ercole Olivario Award in 1994, unquestionably Italy’s most prestigious prize devoted to premium olive oils, ‘Matraja’ has also been cited innumerable times in the international press, in books devoted to olive oils and in leading travel guides. 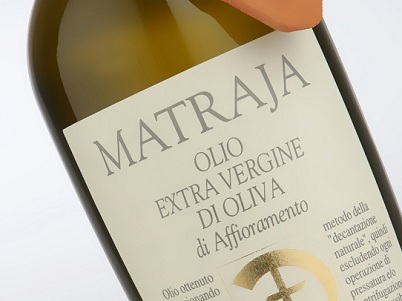 Matraja Extavergine Olive Oil is created by using the traditional “2-step” method. Our oil is a rich golden green and has a crisp, fresh nose that hints of artichokes, almonds, and cypress leaves. Its mild fruity flavor has notes of Mediterranean wild greens and bitter-peppery tones on the finish. It is excellent with raw vegetables, fresh mozzarella, or to dress pastas, soups, wild mesclun salads, and meats. Our Affioramento Extra-virgin Olive Oil totally avoids the centrifuge step: oil is separated from water by a special floating system. This ancient process recalls the blossoming of flowers and gave this unique oil its traditional name of Olio Fiore. It has a lovely golden-yellow color and displays a balanced, harmonious fruity nose. Wonderfully delicate on the palate with distintive herbal flavors it is the ideal companion for seafood dishes.